Users can browse and download a variety of sticker packs to use in iMessage. Apple released iOS 10, the latest version of its operating system for iOS devices. iOS 10 comes with a number of new features, including access to stickers within iMessage. Here’s a look at how to use stickers in iMessage on iOS 10. From there, users can browse and download a variety of sticker packs to use in iMessage. 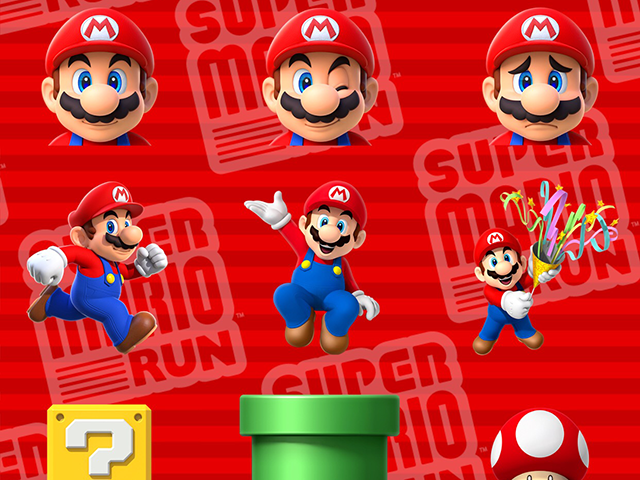 For instance, Nintendo released a set of Super Mario Run stickers based on upcoming mobile game Super Mario Run, and Disney released a variety of sticker packs based on topics such as The Lion King, Inside Out and Star Wars. While some sticker packs are free to download (like the Super Mario Run stickers), other sticker packs are premium. Disney’s sticker packs, for instance, cost $1.99 each. Elsewhere, application developers can also create stickers associated with their existing apps and games. For instance, Bandai Namco Entertainment Europe released stickers based on Tap My Katamari. If users have such apps installed, they can “turn on” the apps’ stickers within the iMessage App Store. Specifically, users can go to the Manage tab within the iMessage App Store to turn on any of these sticker packs they have available. After users download sticker packs, they can send stickers in messages by tapping the App Store icon within iMessage, tapping the menu button, and selecting the sticker pack they’d like to browse. From there, users can tap stickers to preview them and send them to their contacts. In addition to sending individual stickers to others, users can also attach stickers to photos or other stickers they send. To attach a sticker to another image, a user can simply drag the sticker from the tray at the bottom of the screen onto the image they’d like to attach it to. Readers: What do you think of stickers on iOS 10?